It’s natural to think about changing up your look as a new season rolls around. Adding some trendy clothing to your wardrobe is one approach, but an even more exciting way is with a new hairstyle. The right hairstyle can give you renewed poise and confidence. However, fear of committing to the wrong hairstyle often discourages us from trying something new. Choosing a new hairstyle doesn’t have to be this stressful. With the right information and the right stylist, you can select the perfect cut for your face, your features, and your lifestyle. Here’s how. The first thing to consider when choosing a new hairstyle is the shape of your face. The right haircut must perfectly compliment the geometry of your face to help you achieve balance in your appearance. Identifying your face shape is easy. Pull your hair back and take a close look in the mirror. Now use a lip pencil or eyeliner to trace the outline of your face on the mirror. Examine the outline to see which of the following shapes it best represents – round, oval or heart-shaped. A round face is circular in shape with its length just about equal to its width. If your face fits this description, you should look for hairstyles that elongate your face, making it appear more oval-shaped. A medium-length hairstyle with side swept or long face-framing bangs will do the trick. If you pull your hair back into a high ponytail, try leaving a small piece of hair untucked on one side to give the illusion of a narrower face. A deep side part will offer needed angles to a round face structure. A pixie cut also can be a good choice, since it adds both texture and angles. If you have an oval shape, your facial length is about one and a half times its width. On top of this, your forehead and jaw will be about the same width. This shape offers you the most options for hairstyles. You can try a middle part, short bangs, a slicked-back look, an up-do and more and look great. If your face is a long oval, however, you will want to avoid hairstyles that are all one length or are very sleek, since they can further elongate your look. 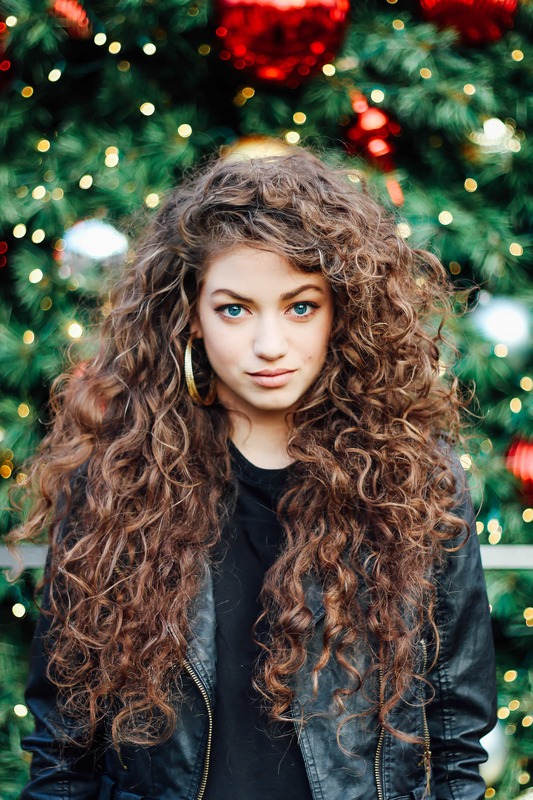 Try a style that allows soft curls to frame your face, making it appear wider than it is. If your face is wider at the forehead and cheekbones than it is at the jawline, you have a heart shape. Shoulder length hair will help balance your features by creating the appearance of a wider jawline. Many people with a heart-shaped face have a widow’s peak. Try parting your hair slightly off center to make the peak less noticeable. Also, avoid very short styles that can make your chin appear narrow. Now that you know your face shape, let’s consider your hair type. The three main categories are curly, wavy and straight. 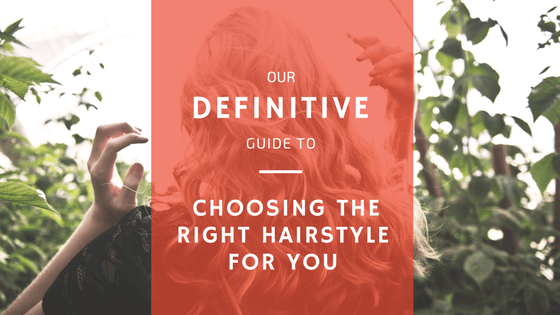 Your stylist can give you a detailed overview of the different variations that come under each of these main categories and how they affect how your hair will behave. However, here are some general guidelines. If your hair is both fine and straight, try a basic blunt cut. Avoid a choppy layered look, since it will make your hair look thinner. By keeping the bulk of its weight at the bottom, your hair will have a thicker and fuller appearance. A bob looks sleek and sophisticated on someone with straight hair. If you’d like a little variation, try an A-line cut, with your hair a bit shorter in the back and with longer pieces in the front. This option allows you the freedom to enjoy up-dos and other off-the-face styles as variations. For this hair type, you have natural waves that tend to correspond with the shape of your head. Many people with wavy hair have an S-shaped wave pattern, so styles that complement this pattern work best. Medium-length styles with side-swept bangs are good options. Avoid razor cuts, since blunt cuts work to help your wavy hair looking full without seeming frizzy or out of control. There can be a wide range within each of these categories. Curly hair is no exception. Your natural curls can be loose and bouncy or tight and coiled. 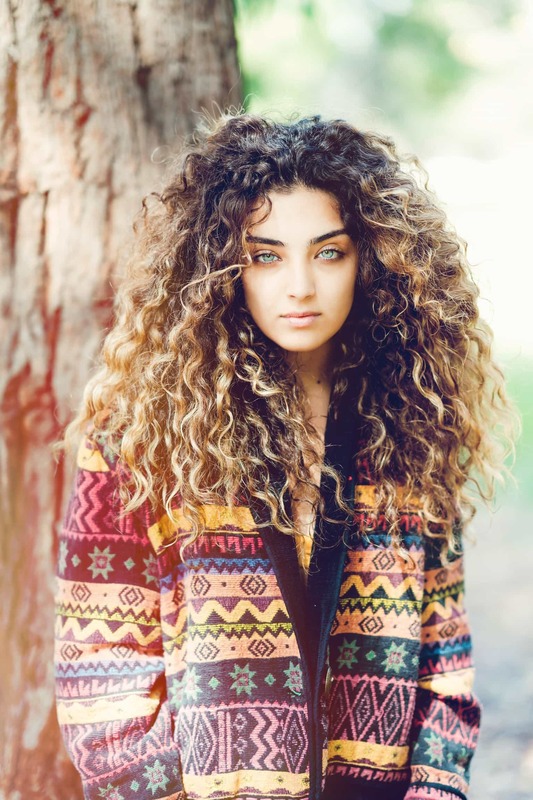 Look for styles that accentuate your curls without overwhelming your face with them. Generally, the shorter the style, the curlier your hair will look. 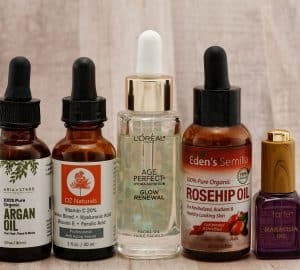 You can keep things simple with a long, loose style that allows you to pull your hair up into a loose bun or top knot, or to braid it maiden-style when you are in the mood for something different. A third consideration in choosing a new haircut is your lifestyle. Do you tend to dress casually for work and social events or do you often “dress up” for your job or for pleasure? Your new hairstyle should reflect your personal style. A medium or long cut allows you the versatility to go casual with messy braids or a disheveled bun or to go more formal with a classic chignon. A short cut offers fewer options, but you can wear it in a spiky, textured style for casual events, or you can sleek it flat for a modern yet sophisticated look. Your haircut can bring out your best features, especially your eyes. Consider the size and shape of your eyes when choosing your new hairstyle. Those with large eyes often look great with a pixie cut. Short hair with bangs will help your eyes stand out. You also can bring more attention to your eyes with soft layers around your face. With a medium or long style, try side swept bangs to help make those big baby blues (or browns or greens) of yours stand out. What if you have small eyes? Try a haircut that draws attention to the upper part of your head. A short hairstyle with wispy bangs is a good choice. Avoid thick, blunt bangs, as they will overpower your eyes. Aim to keep your bangs just above or at the eyebrow line. Talk with your stylist about using a curved line in your bangs to establish a soft framing effect that will make your eyes appear larger. Also, avoid high-volume styles or ones that pull hair away from your forehead if you have small eyes. Another facial feature that can be affected by your haircut is your nose. Look carefully at your nose shape. Is it wide and flat or long and thin? Generally speaking, hair volume around your face helps draw attention away from your nose. Another way to de-emphasize your nose is to choose a style that is blended and soft rather than straight and edgy. Long or medium hair with soft layers is a good choice. Avoid short layers near your face, and forego bangs for the best effect. If your nose is long and thin, try a side part rather than a center part, which tends to further elongate your features. Steer clear of super short styles for the best minimizing effect. Come explore our hair styling services to see what we would do for you today! On a general basis, you should get your medium to long hair trimmed every eight to 12 weeks. However, if your hair has split ends or breakage, you should aim to get it trimmed every six to eight weeks. The shorter and more structured the cut, the more trims you will need. Depending on your hairstyle and the condition of your hair, the range for short, structured styles is every three to seven weeks. Talk with your stylist about what is best for your hair. 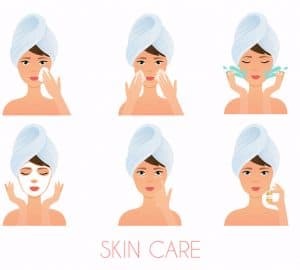 Before you make your decision on a new hairstyle, it is crucial to consider your normal beauty regimen and how much time you have in the morning. If you have wavy hair and are considering getting a short cut with angled bangs, you may need to use a flat iron every morning. If you are thinking of a chin-length bob, will you be missing the ease of gathering your hair into a ponytail for your morning workout? Hairstyles that require minimal time tend to be ones that fall just below the shoulders. This length is long enough that the hair weighs itself down some, allowing you to use less heat styling and product than you need with shorter styles. Also, choose long layers rather than shorter ones for lower maintenance. Bangs can look cute, but they do require effort and frequent trims to keep looking good. Pixie cuts and bobs also are high maintenance, with trims and touch-ups needed every month or so. There are many factors to think about before taking the plunge with a new hairstyle. Remember your new cut needs to work with your face shape and your hair’s natural texture for it to look good on you. Get to know your hair before you make any big changes. For example, if you are thinking about a very short style after wearing your hair long for ages, try folding it and pinning it up to see how it looks. If you’ve always worn a center part, experiment with different parts in your hair to see how they feel. Your hair is a unique expression of you. Speak with a professional hairstylist for suggestions in selecting the best style for your face, your hair and your lifestyle. Then you will feel confident that your new cut will be the right one to enhance the natural beauty in you. Grand Salon is a full-service beauty salon based in Denver, Colorado. We pride ourselves on outstanding customer service, and offering the most fabulous cuts, color and style services in Denver. This post is so informative for those who aren’t sure what style to get when they go to the salon. Thanks Jasmine! I appreciate your comment 🙂 ! I have a rounder face so I always gravitate toward side swept bangs! I’ve always struggled whenever I want to get a haircut because I just couldn’t figure out what’s going to look good on me. Not anymore, thanks to this post!